The Great Wall of China is undoubtedly one of the world's most spectacular architectural masterpieces, which has indisputably earned its place as one of "The New Seven Wonders of the World" as well as one of UNESCO's world heritage sites. This awe-inspiring fortification of architectural grandeur lays over eight provinces of North China, stretching approximately 5,500 miles long. Curving majestically through mountain ranges, it follows the natural lines of the mountain peaks reaching breathtaking heights before plunging into the deepest ravines. Many architects and builders come from around the world to admire and marvel at this phenomenal structure, and ponder the complication for the little resources available during its time of creation. For centuries, the wall's building had gripped the minds of the Chinese, and served as great importance. They were often built around houses, cities, and finally the entire country. 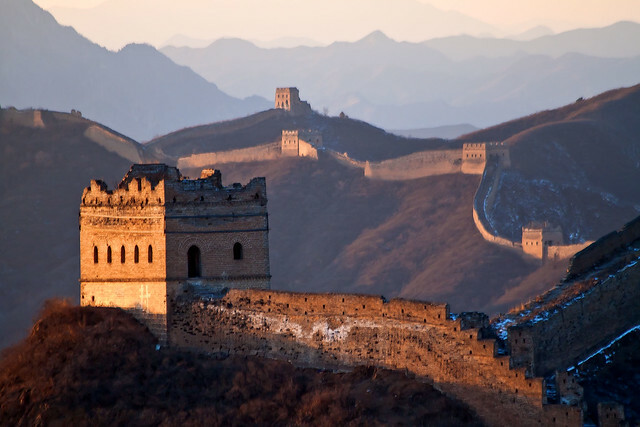 Because China was very self-sufficient, orderly, and disciplined, they believed in building walls to keep their valuable establishments separate from the “have-nots” of the world. The importance of these walls were so great to the people of China, that in writing, the Chinese character for "city" is the same character used for "wall." 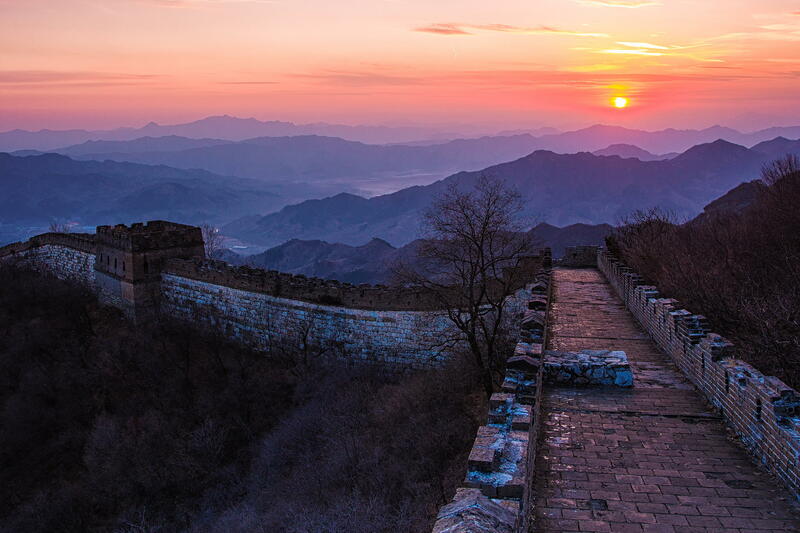 The construction of the Great Wall dates back to more than 2,000 years ago, demanded by the Emperors as a means of defense against China's northern frontiers, home of the Manchu and Mongolian nomads. Throughout the dynasties, the wall was extended, repaired and modified, however it's most prominent years of construction were during the Ming dynasty in 1368-1644. The wall is built not of stone, but of layers of compressed earth, twigs and manure which was a typical technique used by the Chinese for building houses and walls in that time. Regular civilians, prisoners, and even soldiers were responsible for the construction of the wall, and were placed in very bad working conditions. The emperors demanded quality, efficiency and speed from the workers, and an army commander was in charge of every section to ensure the very strict timetable was followed. More often than not, force was used against the workers to ensure hard work and discipline, and the harshness and speed of the process put strain on both the equipment and workers, causing many deaths. It is unknown exactly how many deaths the Great Wall claimed, but millions of lives were lost. It is said that a 1.9 miles section was built in 600 days by 3,000 men, and brick bearers often carried materials as far as 50 miles from the kilns to the construction sites. The magnificent wall, also known as the Stone Dragon, was not a one time project under the watch of only one emperor. It represents the collective effort of millions of people throughout thousands of years, over many dynasties and emperors. 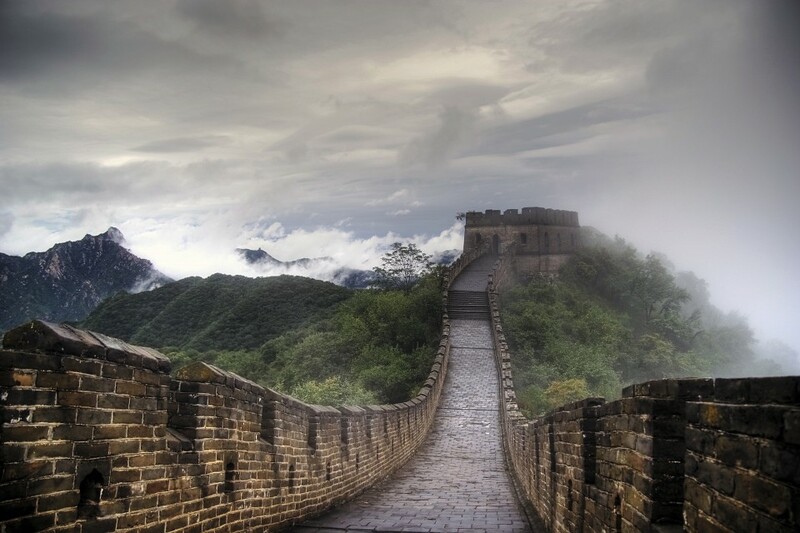 The very first record of the start of the wall dates back two centuries before Christ, by Emperor Qin. This very brutal and paranoid tyrant of an emperor ordered his warriors to drive back enemies in the northern frontiers, and have a wall built to keep them out. Many men died of exhaustion during the massive project, and their dead bodies were often used as material for the wall. It is said that the greatness of China was built on the backs of the poor, for that very reason. After the Qin dynasty, the Han dynasty continued the obsession with wall building. Despite the success of this dynasty, the emperor still wanted a wall, which was when the second project of the Great Wall was built, stretching for 6,700 miles. The work load wasn't quite as brutal as it was under Qin's dynasty, because the Han had the help of the strong Mongolian horse. 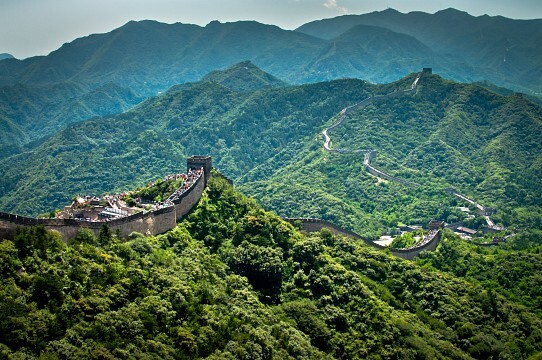 This wall not only served as protection for its inner city from attack, but also ran along a great deal of the great Silk Road, where soldiers were able to protect the traders of China along their long and difficult journey. Under the Tang Dynasty, there was no use for continuation of wall building as the emperor had made a deal with the nomads to send a princess off to them each year, complete with many gifts to appease them, and prevent them from attacking. This worked for only a few years until the Ming dynasty came into power. The nomads became more aggressive than ever as the emperor refused to associate and trade with them. These people lived under very harsh climates, and lived solely off their livestock. They had often tried to make trade agreements with the emperor, in hopes of better living conditions, however the emperor described them all as barbarians and wanted nothing to do with them. After being denied countless times, the nomads rebelled and constantly raided and attacked the villages of China. It was at this time that the Great Wall of China had seen the most construction. These walls were manned by millions of soldiers, and had an intricate system of watch towers and smoke signals that were used to alert the entire frontier of upcoming danger, and future attacks of the desperate nomads. After the collapse of the Ming dynasty in 1644, the final dynasty of imperial China, the Qing dynasty (1644-1911) halted the continuation of wall building to a stop as it served no purpose. The country of China had become quite stable and trade relations with other countries were fully accepted and approved by the emperor. If only the other emperors in the past understood that a little compromise goes a long way. Although remains of this great creation of man's hands can be seen scattered throughout North China, the most popular sections today include Badaling, Mutianyu, Simatai, and Jinshanling. 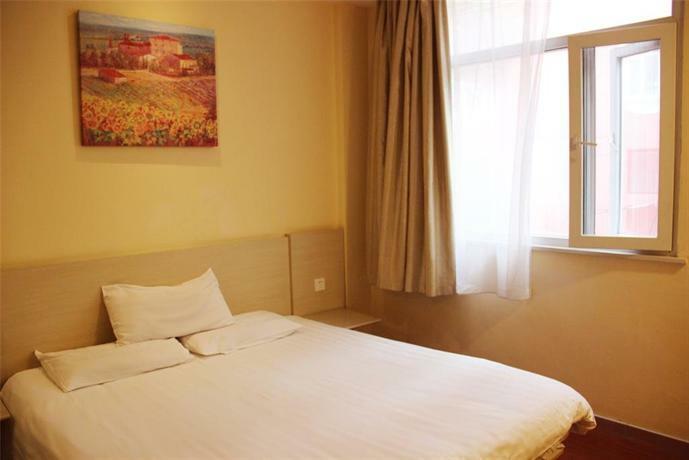 Badaling is situated 43 miles north of Beijing, and is the most represented, promoted, and visited section. Here is where the typical postcard photos of the wall are taken, as it's visual appeal is stunning. Beware of crowds of tourists, souvenir sellers, and pickpockets. The wall in this section has been repaired and preserved numerous times and is a fairly easy walk compared to other sections. Mutianyu is still quite popular with tourists, with similar views and restoration done as Badaling. Mutianyu offers unique construction design, as well as three watch towers. This section of the wall is surrounded by forest and streams, and offers a wonderful view. Visitors may climb the 4,000 and more steps up or opt for the gondola or chairlift options. 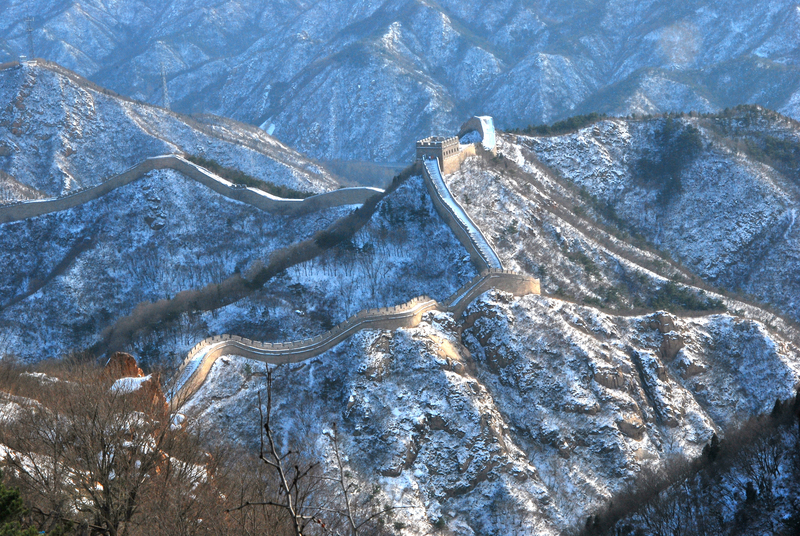 Simatai stretches for about three miles and is the only part of the wall that still has the original appearance from the Ming dynasty. 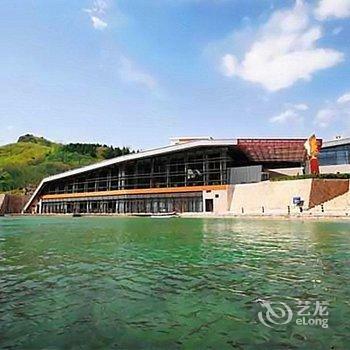 It offers steep, uneven steps, 34 towers, and beautiful surrounding lakes. Because of the challenge of this section, it is usually only visited by experienced, strong willed hikers, and less populated by tourists. Jinshanling is great for getting photos of the empty wall, as it is the least scattered with tourists. Complete with towers, some which have been restored, while others lay in ruins, it really gives visitors a good impression of how much effort went into the building of this ancient fortification. Again, not for the faint of heart, as sometimes this section of the wall requires actual climbing due to its steep and uneven surfaces. 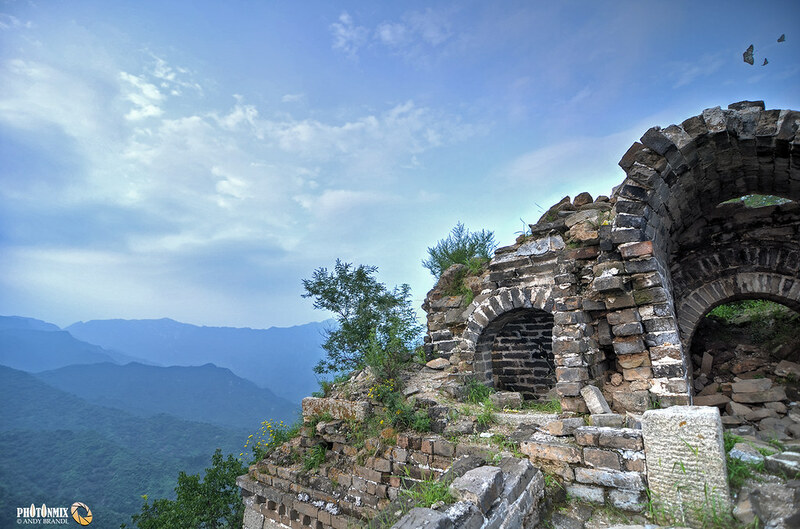 Another part of the wall that is worth seeing is Jiayugan, or Jiayu pass. It is the first tower at the west end of the wall and served as the key waypoint of the ancient Silk Road, linking traders and merchants from China to the Mediterranean Sea. It is said that the builder of this portion estimated so precisely the building materials needed at 99,999 bricks, that he was questioned by the Emperor of the time. The builder added one more brick to his count to appease the emperor, however upon completion of the project, one brick was left over, which is still sitting loosely on one of the walls which can be seen today. Experts believe that the bizarre routes of this snaking wall through China were not only built with the military in mind. It is believed that Feng Shui experts were consulted during the planning process to ensure the wall obeyed the forces of nature to work in its favor. 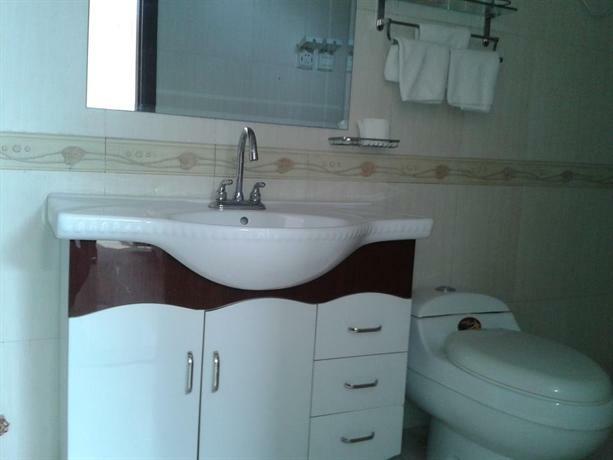 The advice of the consultants were taken very seriously as Feng Shui, or harmonization with surrounding environment, is a very important part of Chinese belief. During the cultural revolution from 1966-1976, a great deal of damage was done to some sections of the Great Wall as many bricks were stolen, and chunks forced off to use as building materials for homes, farms and reservoirs. Because of this, as well as the harsh conditions of nature and frequent interaction of thousands of people each day, the wall is very vulnerable. Northwestern sections are estimated to disappear within the next 20 years due to human and nature demolition. Without proper care and caution from everyone, this magnificent work of human hands may not be around for our future generations, as some sections have already crumbled to ruins. Tourists are asked to take caution, and not remove any pieces from the wall. Small fragments of the wall are available for purchase at various shops, however most of them are not genuine. 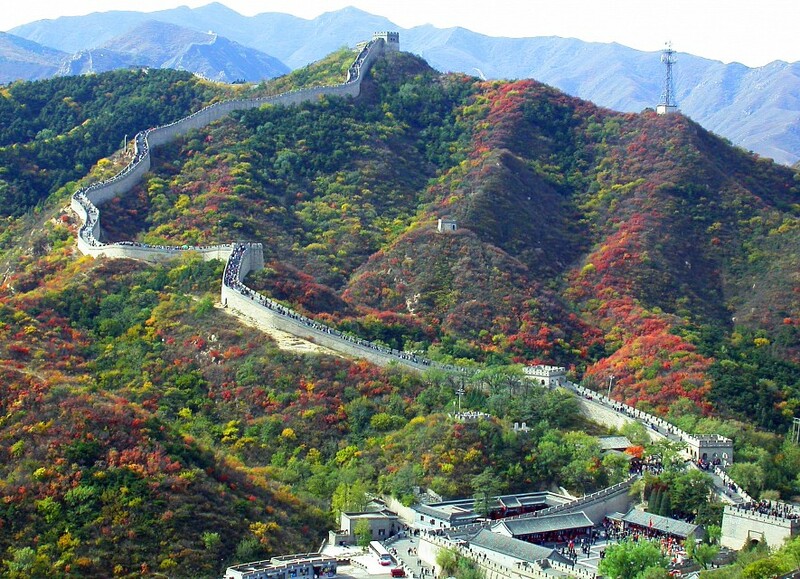 The best time to visit the Wall would be spring and autumn. While it is still sunny, temperatures are a bit more brisk to make the visit more comfortable, compared to the very hot summer months which are usually packed with tourists. Seeing this stupendous piece of work, packed with thousands of years of ancient history, is guaranteed to leave you breathless. The Great Wall of China is this countries number one historic monument and national symbol representing the collective effort of millions of people over thousands of years, and should certainly be added to everyone's bucket list. 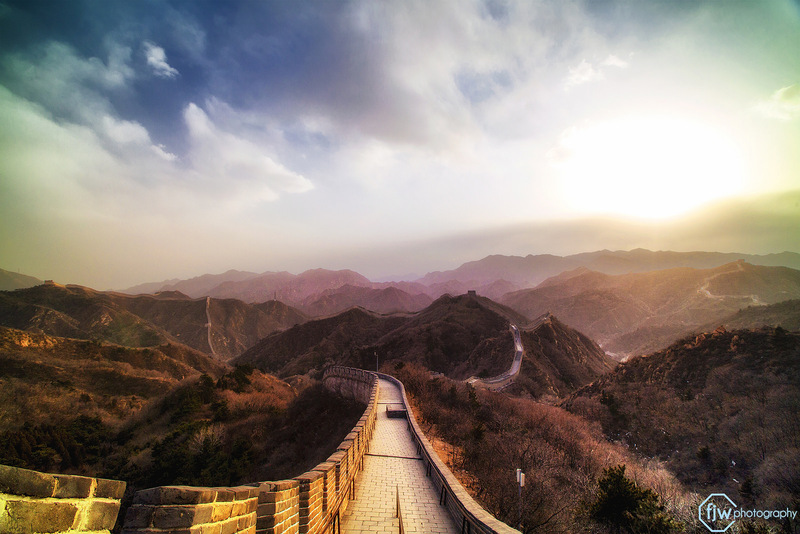 The Great Wall of China is easily accessible from Beijing, though there are many different sections, depending on what you are interested in seeing and doing. One of the most interesting ways to experience the Great Wall is to go camping on it. Now offered by a range of tour providers, the Great Wall Adventure is one of the best, offering two-day hiking and camping experiences. 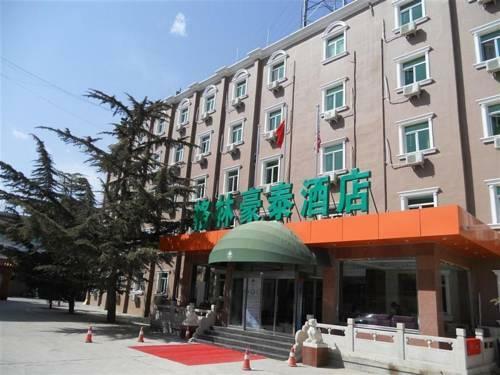 One of their bestsellers includes camping from the famous battlefield of Gubeikou to Jinshaling; you will camp in the watchtower, and the breakfast will be delivered in the morning! In fact, the Great Wall Adventure is the only organisation approved by the Chinese government to offer camping which actually takes place on the Great Wall. 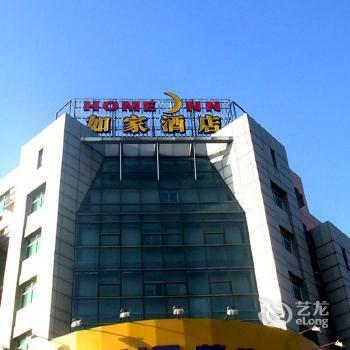 For around $ 500 USD , you can avail of transfer from and to your hotel, entry fees, five meals, all the necessary camping gear, as well as a professional English-speaking guide. Alternatively, you can also access the wall on your own, taking public transport to one of the many sections before paying an entrance fee to walk along the wall.